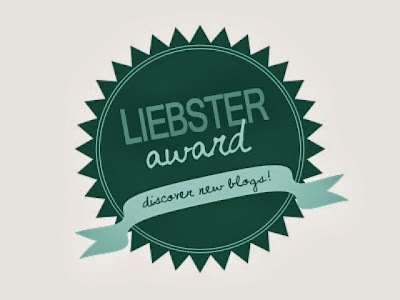 One of my readers Celine let me know that she nominated me for the Liebster award, which I've never actually done before so I thought I'd give it a shot. Thank you for nominating me! 1. I have a giant pink unicorn stuffed animal in my room (it's almost as big as a real horse). 2. What are your hobbies/passions? 3. Have you changed a lot since childhood? 4. What kind of movies do you like? 5. Are you a shoulder or hand purse kinda gal? 6. Where have you or would you like to travel? 7. What kind of books do you like to read? 8. What are you interested in? 9. What made you start your blog? 10. What is your fondest memory? 1. English and learning French at school. 2. Blogging, I love reading, watching anime (if that's a hobby), photography and drawing/art in general. 3. Yes, I've learnt a lot which has influenced many changes, but I still have a child's spirit when I need it. 4. I like comedy movies the best (preferably with a decent story line too). Disaster movies are good and I like the way you immediately think about what you would do in that situation. Oh and black and white movies always make me really happy (bonus points if it has swing music included). 5. Backpacks or bags with a shoulder straps are my favourite, they are more comfortable and give more of a laid back look. 6. I have been lucky enough to travel a lot and I really love it. Some of my favourite places I have been to are New York, Australia, Las Vegas, France and Belgium. In the future I really want to visit Japan and Vietnam. 7. My favourite books have a good story to them with a romance on the side (I'm a sucker for a love story). I also really like dystopia books. 8. Too many things. Fashion, literature, artists and philosophy to name a few. 9. I'd always loved fashion and writing and I had just discovered photography at the time, so I thought it would be a perfect way to combine all three. I loved the idea of an outlet for my creativity which I could share with others. 10. That's impossible to pick one! Last Easter I was in Sydney and very jet lagged so I woke up incredibly early, as did my dad. We were staying in this super quirky apartment filled with weird art but I liked it a lot. We went and sat on the balcony and just watched the sun rise. It was so blissful because the whole city was asleep for us and all we could hear was the sound of gentle crashing waves. That's a good one. 11. I think I will be very unhappy if I get a job that isn't creative. Doing something involving writing and fashion (eg magazine editor) would be my dream career, or a rock star I haven't decided yet. 1. Wardrobe staple you can't live without? 3. Mood your currently in? 4. What jewellery do you wear every day (if any)? 5. Do you like change? 6. Last song you listened to? 7. If you were a character who would you want to be? 8. Do you have a victory dance, if so describe it? 10. Favourite thing to talk about? 11. Meaning behind your blog name? If you don't want to do this because it doesn't suit your blog don't worry I understand! Also me and Mattie have done this at the exact same time and were tagged by the same person so I expect we have listed similar people. thank you for doing it! i love comedies and filling a notebook too! you're so lucky to get your braces off!